At CES back in January, Sphero gave us an early look at its upcoming wearable that allows Jedi-in-training to control its BB-8, or any of the company’s rolling toys, using Force-like arm gestures and motions. At that point the company was just showing off a prototype, but it’s now released an image of a more finalized design. The company is still aiming for a release later this year, but at the recent Toy Fair in New York it hinted at some additional functionality for the wearable. First and foremost it can be used as an alternative to the Sphero mobile apps for controlling BB-8, Sphero, or Ollie, but the Force Band could also be used to control other devices around your home. The company wouldn’t go into details just yet, but it’s certainly aware of how much more appealing the idea of a smart home would be if instead of apps, it could be controlled using the Force. 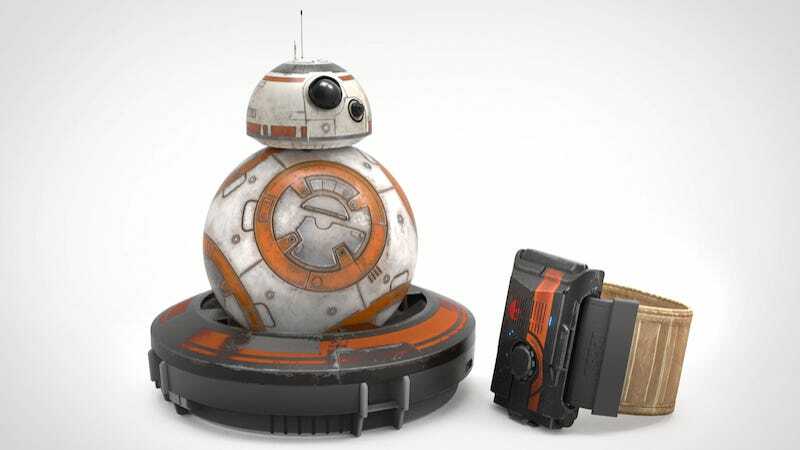 We’ll know more as we get closer to the Force Band’s release, but from what we’ve seen so far Sphero wants it to be much more than just a neat BB-8 accessory.